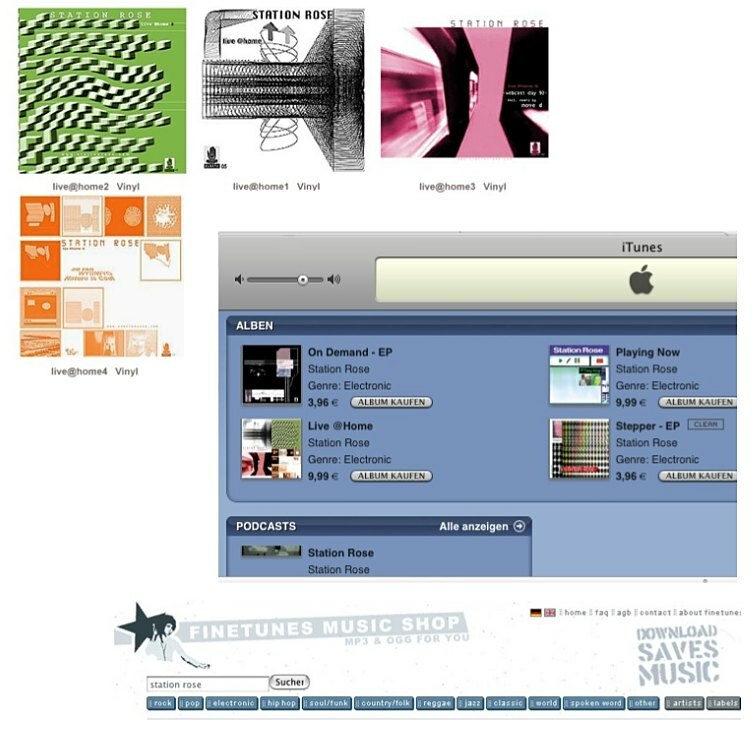 Between 1999 and 2002 STATION ROSE released 4 vinyl EPs „Live @ Home 1-4", which featured audio recordings of their multimedia live webcasts at www.stationrose.com. The live recordings were edited and remixed for highest club standards, without losing the freshness of its live origins as webcasts in the internet. "Station Rose (...) have successfully occupied that bewildering hinterland between real-time and recorded, past and future, audio and visual. Their combined efforts put Techno in a sliding scale of forms and responses."